for $199,900 with 4 bedrooms and 1 full bath, 1 half bath. This 2,270 square foot home was built in 1950 on a lot size of 2.7000 Acre(s). 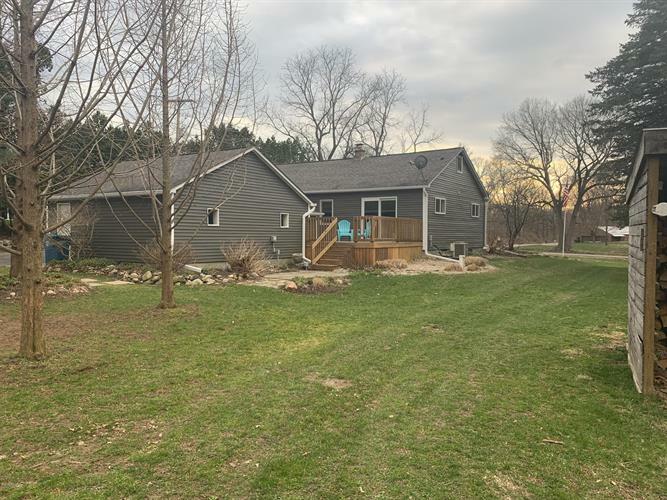 Amazing country setting Pennfield home that sits on nearly 3 usable acres, this home has 4 bedrooms, 1 1/2 baths with a full finished basement with an egress window. The kitchen is open to the living room with 3 bedrooms and a full bath on main level. The half bath is conveniently located off the mud room. The 4th bedroom is in the finished basement along with a sizeable living area, the laundry is also in the basement which contains a nice washer and dryer that would stay. A very nice coveredfront porch along with a deck off the back of home. The property is beautiful with a woodstove that you can utilize to never have a heat bill again. Also the property has an additional storage barn to keep all of your toys and lawn equipment out of the elements.